Gospel, black-metal. It sounds even better than what you could imagine. Gospel, black-metal. Let that sink in for a while. Imagine what you think it sounds like. Right, you’ve got it. Except, it sounds even better. The solo, project of Swiss-American songwriter Manuel Gagneux is the mix of delta-Blues, African-American spiritualism, mixed together with the typical, and God-fearing tropes of black metal. You could call it black-black metal. But I wouldn’t. The hype is strong with this one. Already Gagneux finds himself supporting the likes of Marilyn Manson, and Prophets of Rage throughout 2017. The LP Devil Is Fine – Gagneux’s second as Zeal & Ardor- was released in 2016 on Reflection Records, of which Rolling Stone wrote: “Nothing released this year is as strange, inscrutable or wonderful.” The LP kicks off with cult-like chanting, and Mississipi-blues choruses, before it riffs off into Deafhaven styled thrashing, and metal guitar-slash-drumming. The music -self-described as ‘American slave, and black metal’- wasn’t the most obvious project for Gagneux to invest his time into. His previous incarnation Birdmask, a chamber-music, pop-outfit was pointing towards his inclining for the obscurely, manufactured. 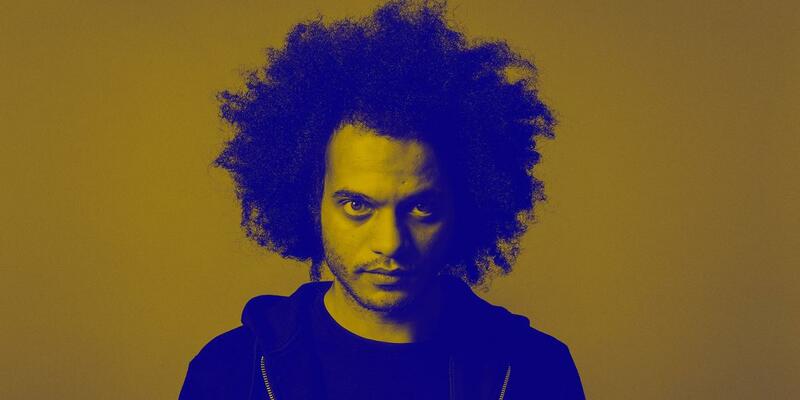 But with a history of listening to old-timey metal acts including Fear Factory, and Iron Maiden, along with the talent and zest to take his sound wherever he felt, Zeal & Ardor allowed Gagneux to dive deep into the folklore world of metal, while having at least a certain degree of fun. And alongside the serious sub-narratives, there is a certain level of wicked irony living beneath the dark tropes, headbanging, and black metal riffage. “Having the project’s genre tagged as spiritual on Soundcloud and Bandcamp gets a lot of Christian people to listen to it, and that just kind of makes me smile,” Gagneux quips on Noisey.